Is U.S. Presidential Election Affecting Your Workforce Productivity? Home » Is U.S. Presidential Election Affecting Your Workforce Productivity? 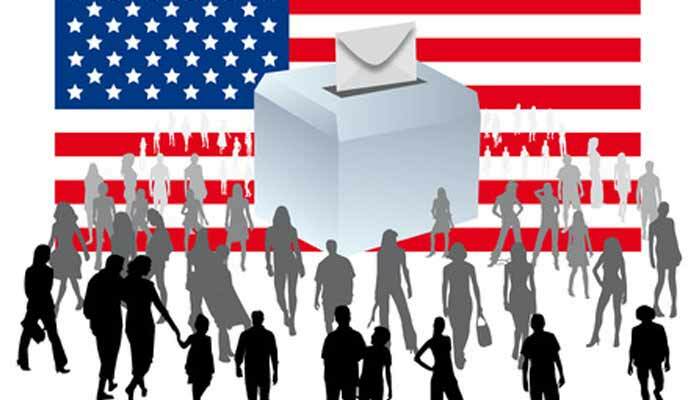 » Blog » Is U.S. Presidential Election Affecting Your Workforce Productivity? Getting daily coverage of 2016 U.S. Presidential Election from different forms of media has already created havoc in the HR departments of thousands of organizations. You must be wondering ‘HOW?’ According to a poll conducted by Harris Poll on behalf of American Psychological Association, 52% Americans accepted that Presidential Election has become a significant source of stress for them. What else could happen when office chambers and cafeterias have employees arguing with each other (of course, on their highest voice pitch) taking sides of their favourite candidate. As witnessed in the last election debate (and at many other occasions) neither Hillary nor Trump hesitate in throwing punches, and the same vibe is seen when people speak in the favour of either of the candidates. Life is tough… and 2016 U.S. Presidential Elections is making it tougher and more stressful. When employees take sides, it may impact workplace relationships. In a survey by American Psychological Association (APA), it has been found that more than 1 in 4 employees are negatively affected when they hear or talk about the Clinton-Trump race. Political discussions at the workplace are often found to be argumentative, unpleasant, and disrespectful due to difference in views of the employees. The heated political discussions become major cause of stress amongst workforce, low productivity, and insignificant utilization of work hours. A manager may feel conscious or reluctant to promote or give good ratings to a team member whose political views differ from that of his. What Employers Can Do to Handle the Situation? Many employees have opinions on political topics of the country. Do you think keeping political discussions out of office doors would help managers and HR to overcome workforce productivity interruptions? Though an employee’s free speech may become other employee’s loud-mouthed bullying, yet restricting political discussions at workplace could be objectionable. Prohibiting political talks is not a practical way. However, HR managers may like to outline and convey modified HR policies specifying that political speech should be addressed carefully and not offend any other person. Having clearly defined HR policies and company rules about political talks is necessary. In fact, organizations also need advanced, cloud HR Software to notify and convey workforce regarding updates in HR policies. Now, if I ask you to forget about U.S. Presidential Election for few minutes and imagine a scenario. Your organization wants to elect a leader for a key role. The management has suggested two names and considering their qualities, you need to vote in favour of one of these potential candidates. A succession planning software makes it easier to identify and develop a successor. An employee satisfaction survey tool is useful to collect employee feedback on particular subject and analyse it for better decision making. Advanced features, like manager notes, help decision makers to go through the previous feedback given by managers and make better decisions. Past appraisal records also give an idea on what a potential leader had been up to. An employee performance appraisal software tracks employee performance and enable managers to put best candidates on the succession plans. Thankfully, HR software helps in electing a right candidate for the key role and eliminates the unnecessary arguments amongst the workforce. Doesn’t this give ample time to the employees to increase their productivity and focus more on business operations!